We tried the new vape pen, then visited the Exploratorium. 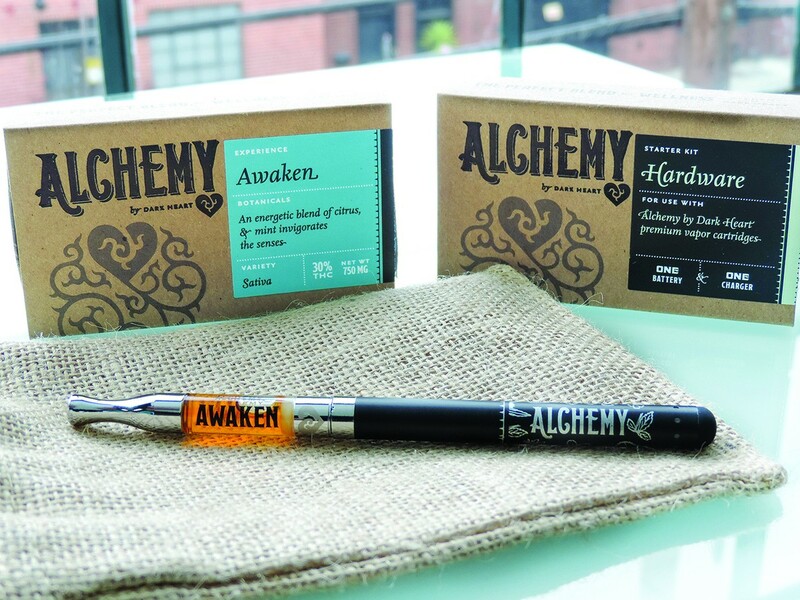 Dark Heart’s Alchemy Experience Box gives you a vape cartridge, a USB-rechargeable battery, and a suggestion for an experience that you can pair with your vaping. Some things are meant to be enjoyed together: chocolate and peanut butter, chips and salsa, The Wizard of Oz and Dark Side of the Moon. Dark Heart’s Alchemy Experience Box gives you a vape cartridge, a USB-rechargeable battery, and a suggestion for an experience that you can pair with your vaping. For the blend, I sampled “Awaken” — which contains sativa, lemongrass, cinnamon, rosemary, lemon, peppermint, and black pepper — to which Dark Heart proposes a “stimulating cultural activity,” like a museum or live-music performance. Toward that end, I sampled Awaken during a visit to the Exploratorium. This turned out to be an extremely good idea. True to the literature, the Awaken blend has a very complex and pleasing flavor, at least compared to other vape products I’ve used. The peppermint, lemongrass, and black pepper flavors are present immediately, and make the whole experience refreshing, not unlike drinking a glass of cool, infused water on a hot summer day. Like other vape products, Awaken imparts a subtle high, which made a great companion for the Exploratorium’s wide array of fun, and often mind-blowing, hands-on exhibits. I generally prefer to enjoy cannabis away from public spaces, but I found myself in a good mood despite the crowds. My friend and I enjoyed exhibits, such as the extreme slo-mo camera (hilarious) and “Ghosts in Your Eyes” (terrifying), for a solid three hours before peacing out for burgers. Through it all, Awaken’s high never curdled into fatigue or apathy — I was alert and motivated. Want us to review your cannabis product? Send us an email: Cannabis@EastBayExpress.com. Why Not Combine Your Two Favorite Pastimes, Beer and Bud? Lagunitas and AbsoluteXtracts have got you covered.